Forests provide us with a wealth of resources, including timber, biodiversity, and valuable carbon sinks, which help to remove carbon dioxide from the atmosphere. However, human impacts often damage these environments. Much of the damage is a result of direct deforestation for timber and for the conversion of land for agricultural purposes. Forests are otherwise damaged by pollution including acid rain. Sustainable forest management involves avoiding excessive deforestation while encouraging replantation wherever possible. 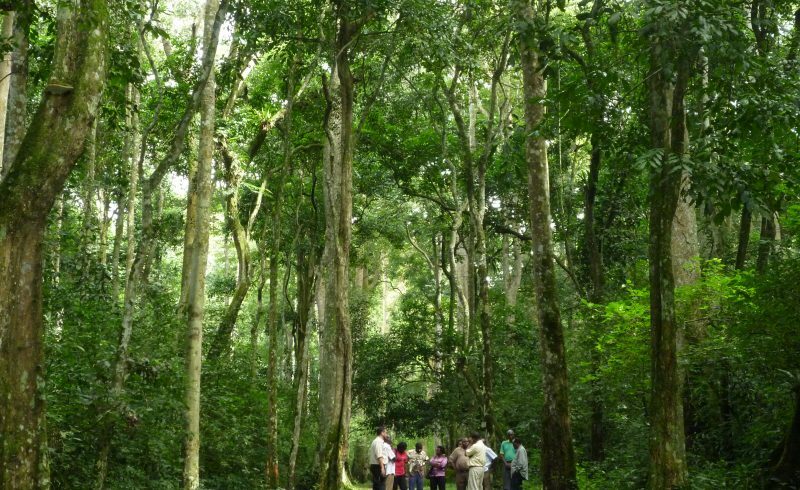 The Principles of Forest Management, established at the Rio Earth Summit, endorse the need for a sustainable approach. This indicator compares the volume of timber harvested to the total volume of timber produced. This reveals whether stocks of timber are being depleted faster than they are being produced. This indicator expresses the area of wooded land as a percentage of total land. For example, 10% of the UKs land is wooded compared with 76% in Finland. It is also important to consider the quality of a forest when identifying indicators. Indicators such as species diversity and tree health would be particularly useful.